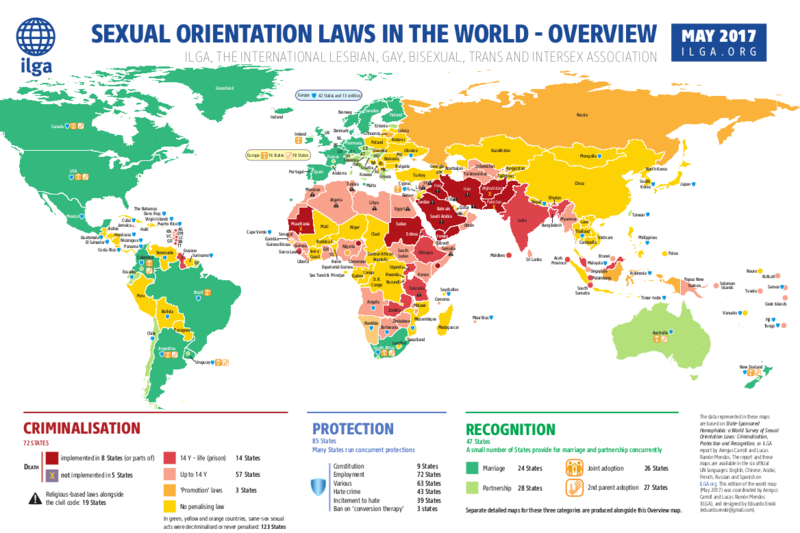 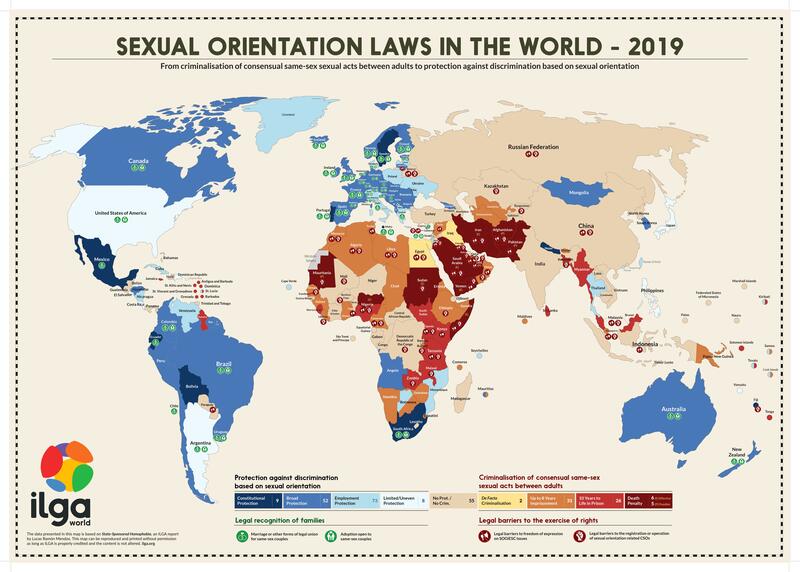 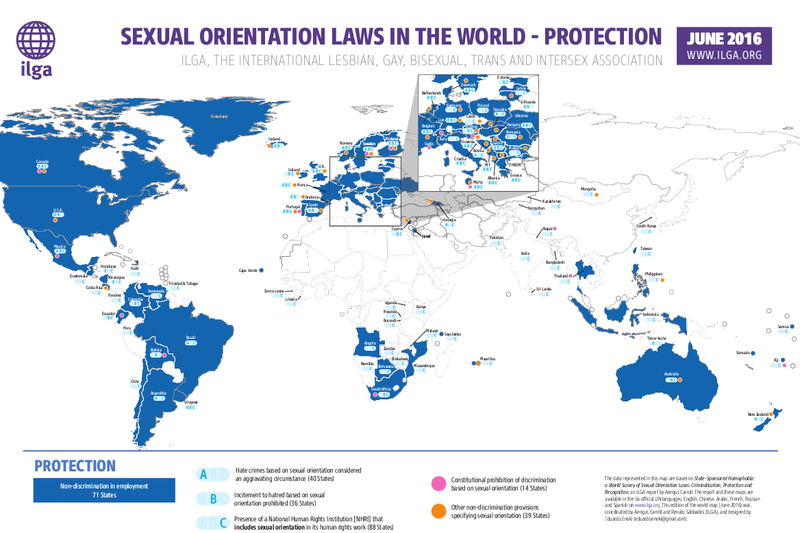 Every year, along with the State-Sponsored Homophobia report, ILGA publishes also maps of sexual orientation laws in the world. 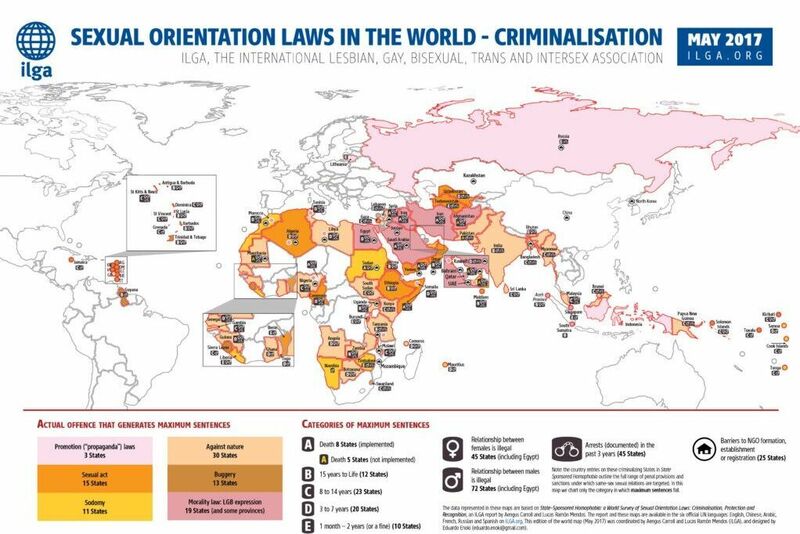 A useful tool for LGB human rights defenders, these images expose the arbitrariness of persecutory laws, and starkly indicate the absence of positive law in most parts of the world. 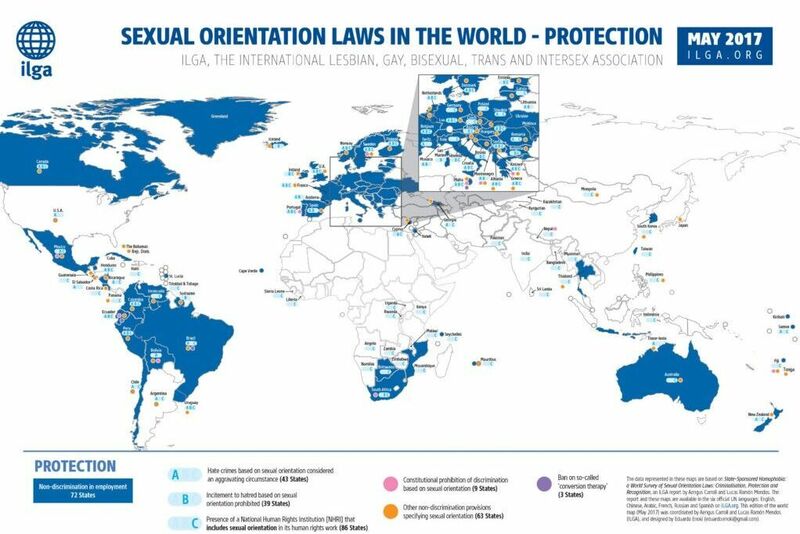 The data presented in this map is based on State-Sponsored Homophobia, an ILGA report by Lucas Ramón Mendos. 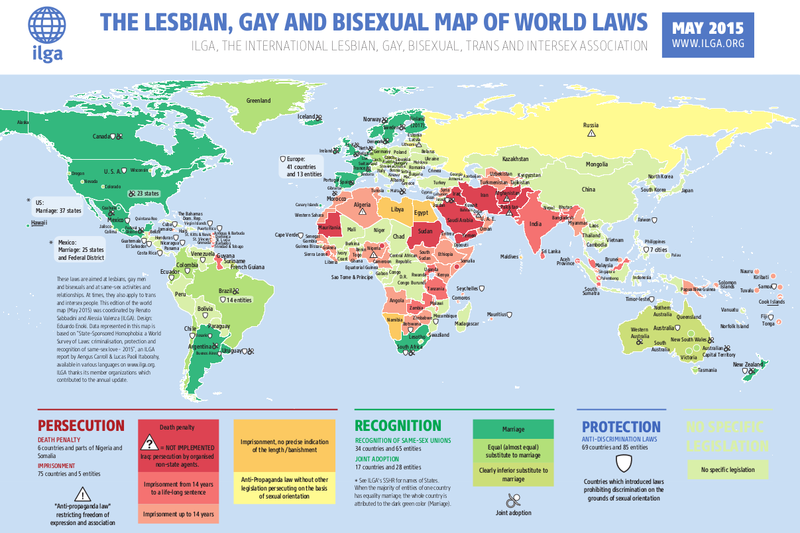 This map can be reproduced and printed without permission as long as ILGA is properly credited and the content is not altered. 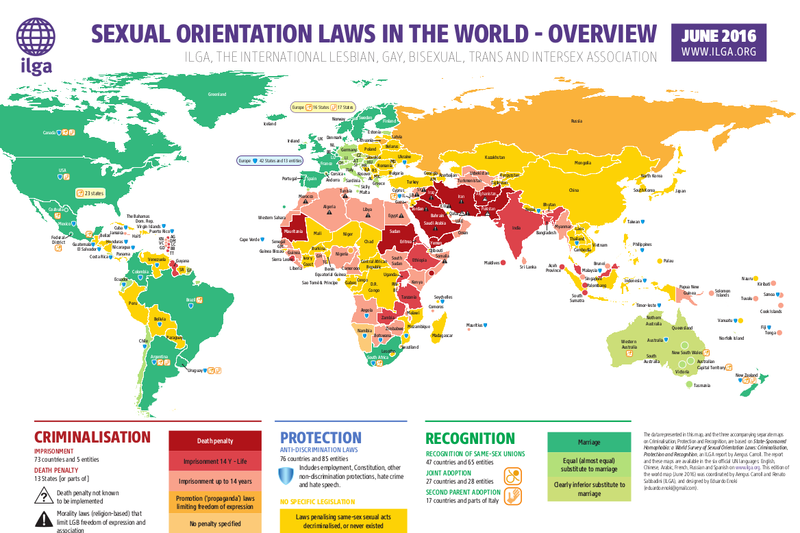 ILGA has been publishing maps on sexual orientation laws every year, producing them in various languages to reach out for more communities around the world. 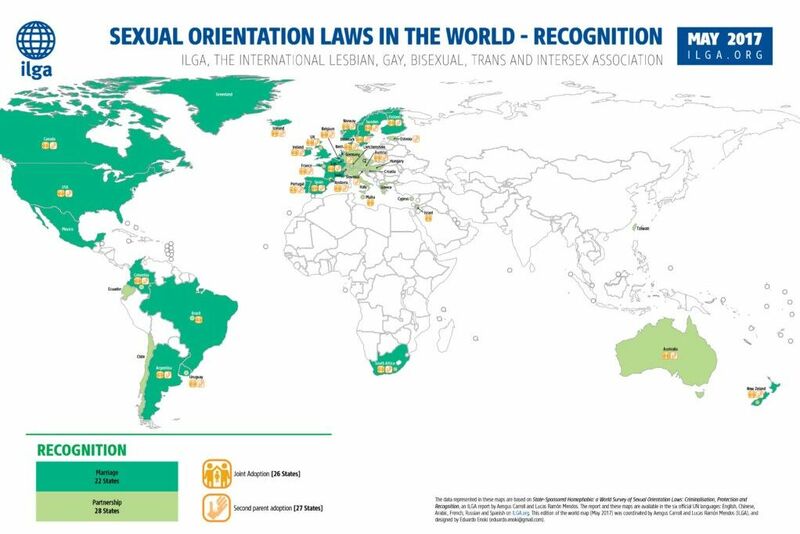 This would have not been possible without the collaboration of various organisations, which either requested and funded the adaptation of the maps, or/and collaborated in their translation and proofreading. 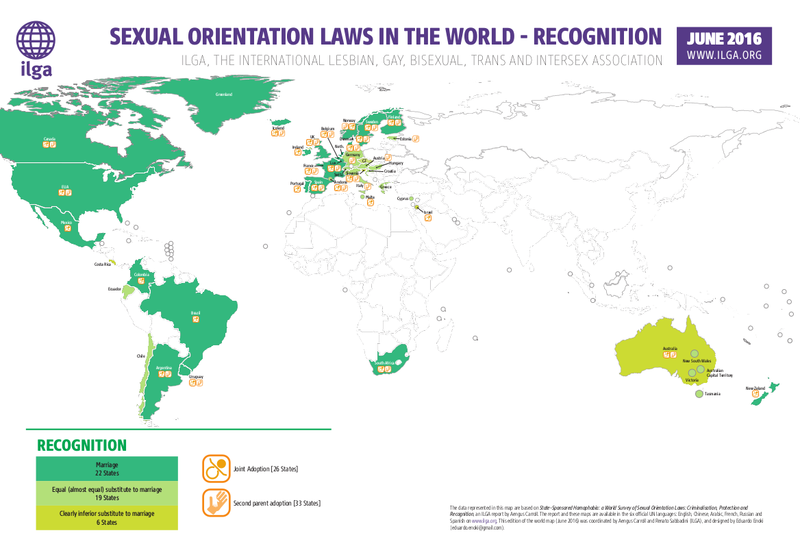 These maps were previously called Lesbian and Gay Rights Maps, and you can find some of their pre-2017 editions below.